Newtec: What Does the 5G and OTT Era Mean for Satellite? This month our magazine is focused on Satellite Broadcasting. Video distribution and contribution has always been the largest and, for many GEO operators, the most lucrative satellite service. It is an application for which satellites are ideally suited: wide area coverage, multicast capability which is built into the very core of satellite transmissions, as well as, distance and multi-point reception at no additional cost. And Cable head-end distribution and DTH are among the stickiest services offered. And yet many fear that this market is on the wane and that OTT viewership will overtake traditional viewing by 2020. Happy summer reading to you all. And while you are at it, enjoy a good book on the beach! After strong growth in recent years driven by the launch of new pay-TV platforms, the development of free-to-air offerings and the take-off of HDTV, consolidated capacity utilization across the Asia Pacific region has slowed down, with growth mainly coming from South Asia, led by India. Overall, regional growth slowed as several platforms decreased their number of channels, with some of them also ending their services due to mounting terrestrial free-to-air and OTT competition. In parallel, only a limited number of new platforms were rolled out in the past couple of years, one of the latest being Solar DTH in the Philippines in 2017. UHD has also remained relatively limited so far, contributing to the lack of dynamism of the market. In February 2018, 18 UHD channels were broadcast by satellite in Asia Pacific. The number of TV channels broadcast via satellite is expected to reach ~6,000 in 2026, up 1,800 compared to 2016. Regular capacity demand could reach 333 TPEs by 2026. Growth should mainly be supported by competition in pay-TV as well as by the possible launch of several new platforms including in Pakistan where DTH licenses have recently been auctioned. In the short term, growth should largely depend on the availability of additional capacity to distribute new TV channels. In the longer term, growth is expected to result from large HD rollouts and the first Ultra HD rollouts. More than 1,400 HD channels could be distributed by 2026, with more than 1,000 new HD signals during the forecast period. UHD should remain limited to around 94 channels in 2026. HTS could also be used for TV broadcasting as India has 23 official languages. Viewing content varies from region to region. Insat announced that its future HTS satellite, GSAT-11, could be used to distribute video content. In terms of primary market risks, consolidation within the DTH market would have a significant impact on capacity usage. A change in the regulatory framework could also impact the market. The contribution market in 2016 stood at approximately 45 TPEs (184 feeds), having slightly increase compare to 2015. The limited growth may be related to the capacity constraints in India and the preferred utilization of capacity for TV channels. India is expected to account for a large part of market growth. Demand for regular capacity may increase to 65 TPEs by 2026. Demand for content exchanges should benefit from the growing number of TV channels broadcast, notably HDTV channels. 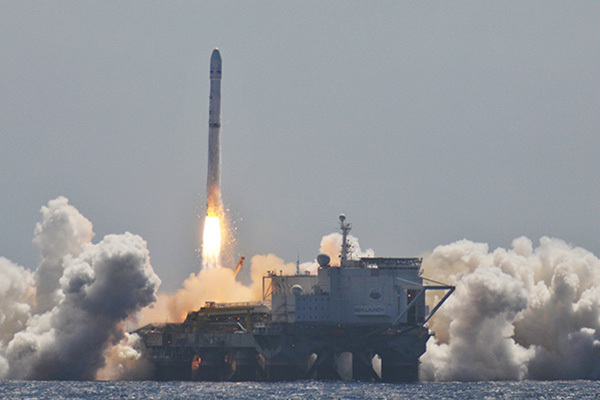 It should also be favored by the expected end of capacity constraints following the planned satellite launches. HTS traffic is expected to remain marginal in the coming decade, with usage reaching close to 0.8 Gbps by 2026. Transponder demand for broadcasting should decrease from 79 units in 2016 to 72 units in 2019 before recapturing the growth to 90 units in 2026. Despite the negative impact of the end of SD/HD simulcasts for DTH platforms in the short term and the development of OTT, the regional market is expected to benefit from different factors. The main driver after 2020 should be UHD. Following the rollout of the first channels in 2014, the region is expected to be one of the world pioneers for the development of both 4K and 8K (from 2020). A total of 110 UHD channels are expected to be broadcast in North East Asia in 2026. HD, despite the already advanced development stage of the format, should continue to drive the market, with roughly 100 channels added by 2026. Overall, TV channels are expected to remain largely stable at around 580 until 2026 with HD accounting for 80% of the total channels. Regular capacity demand is expected to keep the similar level until 2020 before decreasing to 25 units by 2026, corresponding to a CAGR of -1.3% over the forecast period. Competition from terrestrial networks will likely constrain transponder demand for video contribution over the period, led by the rapid development of fiber usage for permanent activities and 3G/4G for occasional use services and by a broadcasting market with limited growth potential. The development of the HTS market will limit regular capacity usage in the second half of the decade. HTS traffic carried is expected to reach 0.2 Gbps by 2026, with the region expected to be one of the last to rollout HTS services. China is the largest potential market in the area. In 2016, China’s linear TV has the largest subscriber base (240M), DTH is just positioned as a complementary to satisfy the basic needs in remote area. Commercial satellite pay-TV was still non-existent. The launch of commercial platforms has been in discussion in recent years. Thus, we assume that satellite pay-TV platform types of service are unlikely to be launched in the short term, but rather in the long term. Licensees for such services would likely be Chinese companies that are potentially state-owned. Furthermore, mainland Chinese satellite operators should be preferred for the broadcast of such platforms. Based on that assumption, the number of channels is expected to develop progressively in the next 10 years. The number of TPEs leased for TV broadcasting would reach 145 units by 2026, up from 120 units in 2016. HD is expected to largely contribute to growth. ~570 HD channels (~30% of total channels) is expected to be broadcast in 2026. Ultra HD is expected to remain limited. Based on the expected growth of channels, the satellite capacity required for backhaul of programming will likely increase by 2026. Growth in demand is also due to the limited digital terrestrial broadcasting systems in rural areas of China, which will result in an extensive use of satellites. In addition, large events such as 2018 FINA World Championships, 2019 Military World Championship, 2022 Winter Olympic Games should also contribute to the growth. Nevertheless, growth will be largely conditioned by the authorization and development of digital TV in China. The number of TPEs (regular capacity) needed by video contribution should reach 38 units by 2026, with growth notably favored by the rise of HDTV. HTS traffic carried is expected to remain limited, reaching 0.3 Gbps by 2026. Over the next ten years, the video broadcasting demand should reach 339 units. Simultaneously, the number of TV channels will increase to 4,448 by 2026, which includes 1,494 HD channels and 154 UHD channels. The growth might be supported by free to air services. New platforms are also expected to be launched in a few countries, as most countries in SEA are still at an early stage of pay-TV development. Demand should also be driven by the development of HDTV as well as the digitization of ground networks. Further, some platforms in countries (such as Indonesia) with a high number of active services may consolidate their activities or end services, especially once growth in subscribers and revenue slows down. With the development of TV services in coming years (e.g. new platforms, HD broadcasts), the number of feeds carried is expected to reach 160 by 2021 and 198 by 2026. This would lead to a regular capacity leases of 42 TPEs by 2021 and 47 units by 2026. The HTS capacity utilization is not expected to gain ground before 2018. However, in the long run, the development of lower-priced HTS services is expected to drive the HTS capacity utilization for video contribution services. Demand is expected to reach 0.5 Gbps by 2026. In the forecast period, the total number of channels is expected to reach 937 by 2026. The growth is expected to come from the introduction of more HD channels (+269 HD channels during 16-26) and more digital channels to fill terrestrial networks. Growth is nevertheless limited as a mature market. In addition, a growing focus of broadcasters on nonlinear services, particularly in Australia and New Zealand should also hamper the growth. Ultra HD is expected to have a defined impact on the market with only 30 UHD channels forecasted by 2026. Overall, transponder demand is expected to decrease from 91 in 2016 to 84 in 2026. The reduction is due to the evolution of compression technology. For example, in 2016, 46% of the channels are in Mpeg-4. The share is expected to reach 87% by 2026. The development of TV services, led by HDTV, should not be sufficient to drive market growth in the next decade, as the overall size of the addressable market and increasing fiber usage will remain being the limitation. Consequently, transponder usage is expected to decrease to 13 units by 2026. The decrease in regular capacity usage will partly be linked to the development of the HTS video contribution market. 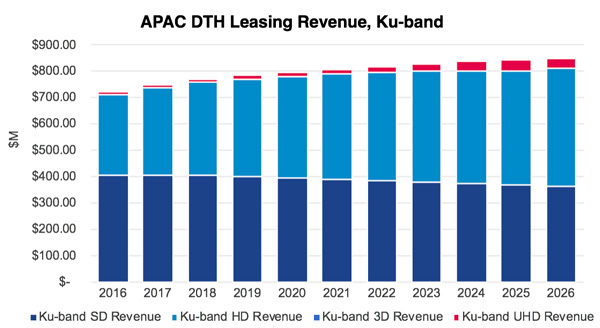 HTS traffic carried for contribution services is expected to reach 0.1 Gbps by 2026, primarily in Ka-band. 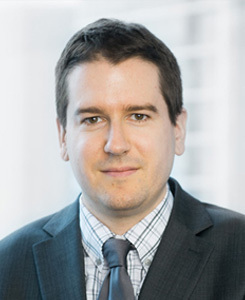 Dimitri Buchs is a Senior Consultant of Euroconsult based in Montreal, Canada, with expertise in economic and strategic analysis. Dimitri’s specialty lies in digital TV and media markets and their impact on the satellite business. He is also involved in activities linked to the RPAS market. 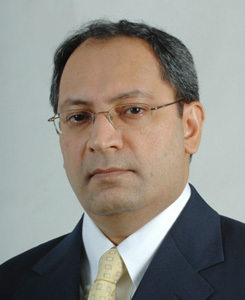 His activities include qualitative and quantitative business analysis, review of market prospects and business plans. Since joining Euroconsult in 2007, he has managed and contributed to more than 30 consulting missions for a wide range of international clients including satellite operators, service providers and investment funds. The broadcast markets are undergoing a period of intense change, and in many ways, this change is most evident on the ground in Asia-Pacific. A huge and diverse region, with a young, dynamic, increasingly connected population, the APAC video market is perhaps the world’s most dynamic. User tastes and preferences are evolving fast, and satellite operators are being forced to adjust their business model accordingly. With new satellite operators entering the market, more capacity, and a change in the value chain, now is one of the most exciting times in recent memory in the APAC video market. Here, we will first discuss the region’s video markets over the past several years, before setting the scene with a discussion on the current market and underlying trends, and looking at what might be the key market drivers tomorrow. The Asia-Pacific video broadcast via satellite today is the biggest it’s ever been. As of Q1 2018, almost 10,000 video channels are being broadcast via satellite to Asia-Pacific, with this representing almost 30% of the world’s total. While this is an impressive figure at first glance, it is also an indication of the region’s future growth potential – with over half of the world’s population, Asia-Pacific could be seen as “punching below its weight” in terms of video channels per capita, with this becoming even more the case as the region’s purchasing power increases. While countries such as Japan and South Korea are served by a very large number of channels per person, other countries in the region still have much room to grow here. Of the region’s 10,000 channels, around 8,000 are SD, and around 1,800 in HD. Expectedly, the highest HD penetration rate is in East Asia, where nearly 40% of channels being broadcast are in HD. The lowest HD penetration rate is South Asia, where just over 10% of channels being broadcast are done so in HD. Moving forward, continued migration to HD in developing regions will, at the very least, stem the tide of improved encoding methods, and in many instances lead to real TPE demand growth. The market today can also be characterized by a high degree of fragmentation across much of the developing APAC regions, in terms of both satellite operators and DTH platforms. On the satellite operator side, the region is home to over a dozen satellite operators, some of which are sub-regional in nature, while some of which compete for video demand across APAC. 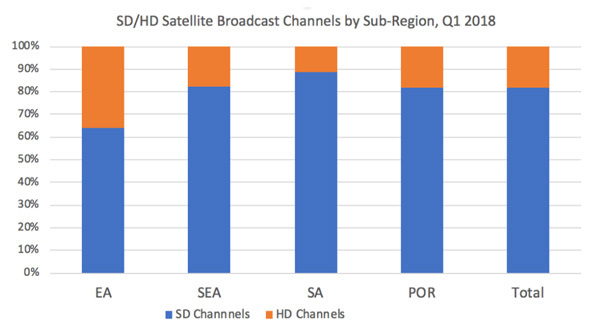 On the SD channel side of the market, the biggest players are SES and Intelsat, with a combined ~25% of regional SD channels, followed by ISRO and Thaicom with slightly more than 10% each. 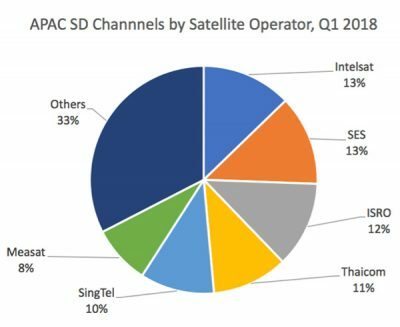 SingTel and Measat combine for around 1/6 of the market, and over 1/3 of the market for SD channels is comprised of no fewer than 16 regional operators, some having only a few dozen channels, but many having 100 or more. A similar picture emerges on the HD side of the market, with around 20 operators broadcasting some HD channels into Asia, led by regional, HD-focused operators such as ktsat and Sky Perfect JSAT, but with global operators also maintaining strong market shares. Ultimately, having 20 satellite operators playing in the APAC video market is likely not sustainable, and while some will certainly be able to count on captive or vertically integrated domestic markets for the majority of their revenues, others will likely find it increasingly hard to play in the market, especially given continued competition from OTT (Over-The-Top) and IPTV, as well as potential pressures from consolidation on the DTH platform side of the market (i.e. their customers). On the DTH platform side of the market, there is indeed quite a bit of scope for consolidation across APAC, with the region being home to several countries with 4, 5, or 6 DTH platforms. Recent months saw the long-awaited completion of the merger between India’s Dish TV and Videocon d2h, with this potentially being an indicator of things to come in countries that have long been believed to have too many DTH platforms. Examples include Indonesia and perhaps other, faster-growth Southeast Asian markets, which have seen a flood of new entrants over the past few years all chasing greenfield subscriber growth (examples of this might include Myanmar). This may lead to short-term impact on demand, should consolidating DTH platforms subsequently consolidate their satellite capacity, however in some instances, such as Nepal, consolidation has brought about a DTH industry in better financial health. Likewise, even in the event of consolidation, it is seldom a simple and inexpensive process to migrate/consolidate channels from multiple satellites, with this providing a degree of stickiness for contracts moving forward. The video market is undergoing rapid changes, and this is particularly true in APAC. Moving forward, satellite operators are finding a number of innovative new ways to position themselves in the video value chain, or in some instances, maintaining a similar value proposition but adding some new component to it. One of the biggest changes in the market today is the fact that companies like Facebook and Google are seen increasingly as competitors to Free-to-Air (FTA) platforms. This is because FTA platforms rely on advertising dollars for their revenue model, and in an age where the overwhelming majority of advertising growth is going to a few very big platform companies, this makes their business model all the more difficult to close. What is more, in countries throughout Asia, Facebook and other tech companies are becoming ever-more present through things such as free Facebook/WhatsApp/Twitter data on local SIM cards, which is putting an even bigger squeeze on companies competing for consumer attention. Simultaneously, pay TV platforms are being hit head-on by players such as Netflix, which have the benefit of enormous budgets for content creation, huge numbers of subscribers, and the ability to track and analyse the data being produced by people when watching their programming. These tech behemoths are leveraging bigger bank accounts, more powerful algorithms, and a more personalized product to eat up a bigger share of the content consumption market. In the face of such new competitors going up against their customers, an increasing number of satellite operators are moving towards various types of OTT offerings. This has included a purely OTT app play, such as the one offered by regional satellite operator APT Satellite. The company’s “Apstar TV” offers a variety of Chinese-language content for free to anyone. This is perhaps the most extreme recent example of an Asian regional satellite operator trying to “get closer to the customer” by capitalizing on technological change, as APT Satellite is attempting a fully vertically integrated platform whereby the end customer is seeing their name, however it is far from the only such play within APAC. Indeed, fellow Hong Kong-based regional operator AsiaSat has come out with a less consumer-focused OTT offering, whereby the company offers a service to help content distributors get to more end customers through providing an integrated OTT/IP service. The company recently announced one such deal for this service in Myanmar, where the company has long had a strong presence. Other operators, such as Asia Broadcast Satellite (ABS), have taken a decidedly more free-to-air route, theorizing that the Average Revenue per User (ARPU) in these regions is low enough to justify significant investment in FTA TV as opposed to pay TV offerings. Specifically, during a recent interview with Kratos, ABS CEO Jim Simpson noted that “in Indonesia and the Philippines…free to air seems to make much more sense to us than a pay per view, simply from a collection perspective and other factors”. Finally, operators such as ktsat and Sky Perfect JSAT, among others, are pursuing technological leadership through the adoption of 4K, and in some instances 8K, with this being used as a way to maintain the “premium” aspect of DTH in the face of competition. With so many operators in the region, it is perhaps not surprising that there are so many different strategies, and ultimately the key takeaway is that there is likely no single best strategy to compete in the APAC video market. Apart from regional operators, global players such as SES and Intelsat have also tried to move along the video value chain, with SES having acquired media service provider MX1, and with Intelsat offering an IntelsatOne Prism TV everywhere/OTT service. Moving forward, there will be some central questions among satellite operators looking to vertically integrate along the video value chain, or otherwise change their position relative to customers. Namely, are operators ultimately cannibalizing their own business by moving into OTT and other video everywhere services? Are they competing with their own customers? How will ARPUs develop if there is such a plethora of potentially low-cost services being offered to consumers? How can satellite operators realistically compete with the data-mining capabilities of Netflix, among others? And finally, how will the advent of HTS allow for satellite operators to improve their offerings in the video sphere, if at all? The APAC video market remains very large, diverse, and in many areas, fast-growing. Competitive forces are greater than ever, however there are likewise opportunities in many different parts of the market, especially for operators thinking outside the box. A young and growing population, coupled with many of the world’s fastest-growing economies means that the hunger for content is not likely to be satisfied by any one solution, at least for the foreseeable future. Premium content and an increasing tilt towards video everywhere will continue to be differentiators, while satellite operators will need to work with DTH and FTA platforms to help them compete with a slew of fast-growing and well-funded competitors. 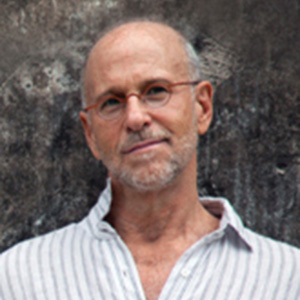 Blaine Curcio is founder of Orbital Gateway Consulting (OGC), providing research and consulting services on the satellite telecoms industry, with a focus on Asia-Pacific and China. His areas of coverage include satellite communications (GEO, MEO, and LEO), the Chinese space industry, and video broadcast. Prior to OGC, Mr. Curcio was Principal Analyst at NSR, spearheading the firm’s satellite finance practice, as well as multiple ground-breaking projects for Asia-Pacific clients. The debate on OTT versus linear TV has become the industry’s favourite dead horse to beat, having been endlessly rehashed in innumerable industry gatherings, panel discussions, and meetings. Diehard OTT-only proponents argue that by providing “what viewers want, when they want”, the convenience of being able to time and location shift with OTT services has somehow “won” and therefore the future of the video market is already set. This somewhat myopic view incorrectly frames the landscape as an either-or choice between OTT and other broadcast platforms. In my opinion, OTT is here to stay but overlooking trends and factors specific to Asia underpin the continued success of linear TV and point to very healthy growth in the coming years. By taking a closer look at viewer habits across Asia, we can quickly understand why satellite has such staying power and growth momentum in the region. Compared to citizens of other regions, Asians are famous for being early adopters of technology. Starting with the rapid uptake of VCR in 1980s Japan, the speed of Asia has set the pace for technology ever since. Though recent technology innovation (including cashless payments and e-commerce, smartphones and apps, 4G networks, VR and high definition television) may not have originated in Asia, Asian countries have leapfrogged their Western counterparts. In terms of speed of adoption and optimization, video content and broadcasting are no exception. In the near term, given rising standards of living and early adoption tendencies, we expect Asia to rapidly become a leading market for UHD. Asian citizens’ eagerness to adopt new technologies is also reflected today in the way the advent of mobile devices has changed the way they consume media. More than any other region, nearly everyone you come across on a subway or bus, young or old, is fixated on their smart devices, watching the latest Korean drama or consuming short video clips on social media. Once they reach home though, TV becomes paramount. Thanks to family-centred values and multi-generational living arrangements, a TV is “a member of the family” and watching TV is likewise a family affair. The TV is constantly on in the background, and draws family and friends together for favourite TV programmes. At the same time, Asia is an extremely diverse place. Often there is more than one common language, including multiple dialects for any one country, as well as significant geographic barriers that divide the region, all of which contributes to a healthy preference for local TV programming. This, in turn, lends itself strongly to satellite. Given the uniqueness of the Asian consumer, there are quite a few elements that will ensure a bright future for satellite in Asia Pacific. Some of these important elements can be summarised as “the 3 C’s”. In the broadcasting world, consistency and reliability of service is particularly important, but even more so when a live sporting event is on. Take the recent World Cup, for example: Could anything be worse than the TV screen going blank or buffering just as someone is about to score in the last minute? Given Asia’s love of sports, reliable broadcasting of sporting events is key. For the majority of Asians living in the capital and in major cities, they can count on terrestrial infrastructure – whether cable or broadband – to catch their favourite sports. However, for those living in mountainous areas, islands or other remote locations, any form of infrastructure is a luxury. In these areas, terrestrial infrastructure may not be the adequate solution as it’s expensive to roll out and to maintain, and easily damaged – whether by natural causes or sabotage. Besides, outside of and sometimes even within Asia’s mega-cities, broadband connection speeds remain expensive and inconsistent, and can be hardly relied on as a source. During peak hours, internet speeds slow to a crawl, only to pick up again in the middle of the night and other unearthly times. Little wonder why satellite is a perennial favourite in Asia. Located 36,000km above the earth’s surface, satellites are able to transcend geographical challenges with one powerful beam to broadcast a bouquet of channels to an entire country – or even continent. Cable cuts and fibre outages don’t matter and one can be guaranteed to view any sports event in its full glory! It’s easy to forget just how massive Asia-Pacific is – we live in a vast place, divided by enormous seas, split into archipelagos, and crisscrossed by rugged mountains. In this setting, satellite remains very attractive financially, with its well-established and mature technological architecture that can beam content even to the most remote of places, which is cost effective for reaching millions of households at a time. This is particularly true in emerging markets including archipelago nations such as Indonesia and the Philippines, or mountainous countries like Myanmar. Human geography can be just as tricky to navigate: even though Asia is home to nearly 60% of the world’s population. Many Asian countries have just a handful of dominant cities and uneven levels of infrastructure investment and urbanisation, sharply driving up the cost of deploying broadband and DTT technologies outside the major urban areas. In these situations, such as in Thailand and Vietnam, satellite-supported services are an excellent choice. Satellite is also the most price competitive solution for upping the number of channels to the vast number of Asian customers. For broadcasters, the introduction of newer satellite technologies including high-powered and high-throughput satellites with spot beams will allow truly local content to be broadcast at far more economically viable rates, helping ensure both profitability and competitive pricing for consumers. Two months ago, the IMF reaffirmed what most everyone already anecdotally knew – Asia is on course to be the fastest growing, most economically dynamic part of the world, forecasted to grow at 5.5% and capturing fully two-thirds of global growth. As Asian consumers benefit from one of the fastest improvements in quality of living in recorded history, higher standards in every aspect of their lives is a given. It’s hence no surprise that consumers will want to watch TV in better quality if they have a choice. Even with the sizeable share of Asian households with no television or with analogue sets, among existing owners, expectations of picture quality are rising sharply and the number of digital television owners looking to switch from SD to HD is set to rise. The popularity of live sports broadcast in HD is a strong driver of demand for this growth, and remains an important differentiator for pay-TV operators. And then there’s UHD. 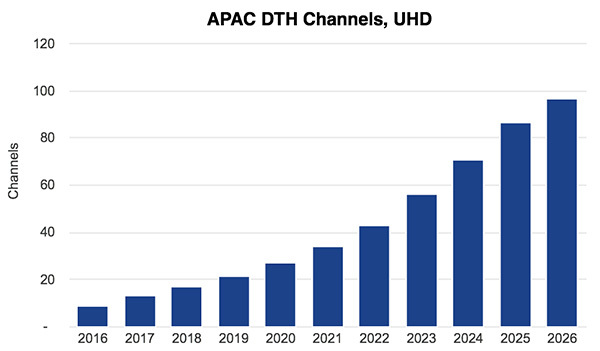 Although it represents an insignificant slice of the market at present, make no mistake: as the pace of transition to HD in Asia has shown, the speed of market adoption of UHD might just surprise the naysayers. The number of households in Asia equipped with an UHD TV set is set to triple from 10 percent in 2017 to 2022. Whether it’s HD or UHD, satellite has the bandwidth to deliver the immersive viewing experience that Asian consumers are demanding, and the reach to bring crystal-clear clarity to millions of viewers. Thanks to the 3 C’s – consistency, cost-effectiveness, and clarity – satellite is firmly cemented in the future of Asia’s broadcasting ecosystem and will play a vital role for years to come. Yew Weng Soo is Vice President, Sales and Market Development, Asia-Pacific at SES Video. He is responsible for driving business strategy, commercial activities, and the creation of new services and solutions for customers in the Asia-Pacific video market. With over 25 years of experience in the industry, Soo brings to SES Video a proven record of achieving business growth, and a deep understanding of customers’ business needs amid an evolving media landscape. 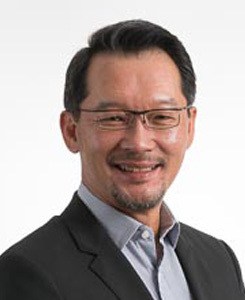 In his previous role as Managing Director of media service provider Globecast Asia Pte Ltd, Soo was responsible for setting its overall strategic direction and business development. He also held key positions at satellite operators Intelsat and Loral CyberStar, and communications solutions provider Verestar. Soo holds a Bachelor of Engineering from the National University of Singapore. He is based in Singapore. Jean-François Fenech is CEO of Eutelsat Asia, leading the development of Eutelsat in the Asia-Pacific region and EVP of Eutelsat’s Global Mobility Services. 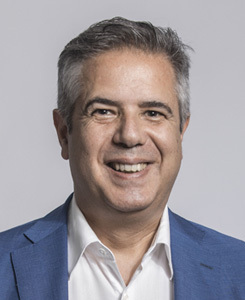 He joined the Eutelsat Group in 2012, as CEO of Skylogic S.p.A. and General Manager of Eutelsat Broadband, Eutelsat’s broadband Business Unit. 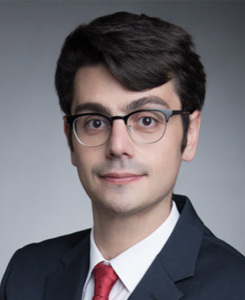 Jean-François Fenech is a graduate of the École Nationale Supérieure des Telecommunications in Paris and holds a Master of Science Degree in Electrical Engineering from Texas A&M University (USA). After entering the Asian market in 2012, Eutelsat has been consolidating its position in the region. What is Eutelsat’s current offer in Asia? We have made significant investments in Asia and are gradually consolidating our position in the market through a strengthened commercial team across the region, which has allowed us to secure a number of noteworthy contracts in key markets. We now operate three powerful satellites with premium coverage of the Asia-Pacific region: EUTELSAT 70B, EUTELSAT 172B and EUTELSAT 174A, which together provide widebeam C and Ku-band capacity and Ku-band High-Throughput capacity to address a wide range of video and data applications, including Direct-To-Home broadcast, video distribution and contribution, mobile backhauling, broadband access, inflight and maritime connectivity, and government services, in addition to facilitating cross-continental connectivity throughout our global fleet. 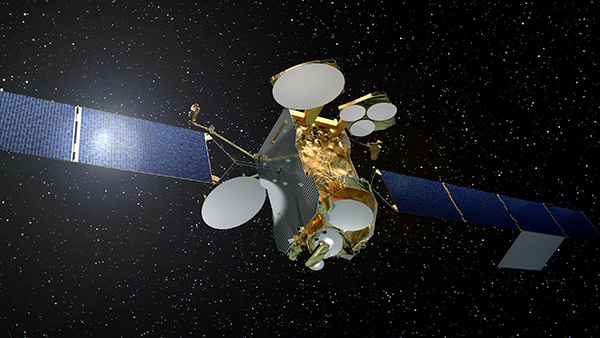 EUTELSAT 70B, located strategically at 70.5° East, was designed to provide flexible cross-connectivity between South East Asia, Central Asia, Africa and Europe. EUTELSAT 172B, of which the launch last year marked an important milestone towards our further positioning in the region, reinforced our coverage for fast-growing applications in the Asia-Pacific region, including in-flight and maritime connectivity, cellular backhaul, corporate networks, video and government services. The service entry of EUTELSAT 172B in turn led to the relocation of EUTELSAT 172A (now renamed EUTELSAT 174A), inaugurating Eutelsat’s presence at the 174° East orbital location, further broadening our offer with coverage from Australia and New Zealand to Japan. What applications are creating the greatest demand in the region? We are seeing significant demand from applications seeking to boost connectivity in underserved area, where satellite provides the most cost-effective solution. These include cellular backhaul, broadband, corporate networks, government services, and DTH. As the demand for ubiquitous connectivity continues to rise, in-flight and maritime services are also increasingly requiring satellite connectivity. Can you share some recent contracts in the Asia-Pacific region? We have seen a lot of interest from customers in the region, particularly for EUTELSAT 172B, as reflected by our recent announcements. The satellite attracted customer interest from the very beginning, with Panasonic signing on as an anchor customer for its High Throughput payload, selecting it as its key growth platform for trans-Pacific and Asian in-flight broadband and live TV services provided to commercial airlines. Panasonic was already using EUTELSAT 172A for in-flight connectivity (IFC) and this new satellite allowed it to transform the range of services it could deliver to commercial airlines, positioning it as a key provider of passenger connectivity and entertainment as well as fast and concise collection and communication of aircraft and crew data. This High Throughput payload was also selected by UnicomAirNet (UAN), product of a partnership between China Unicom and Hangmei to provide IFC services to Chinese commercial airlines. As of 2019 UAN will lease the remaining capacity to enhance IFC services across an area stretching from the West coast of North America to Asia and Australia. In November 2017, we announced a multi-year agreement with Walesi, the Fijian Government’s Digital Television infrastructure management company, to power a DTH platform to expand the reach of free-to-air television across Fiji, reaching even the most remote, deep rural, and maritime areas of the country. More recently, Bambu Wireless, a Philippine Telecommunications Solutions Provider, signed a multiyear contract with Eutelsat for capacity on EUTELSAT 172B to provide broadband, maritime, and government services across the Philippines’ 6,000 inhabited islands. Moreover, we have also struck deals with several Maritime Service Providers to expand their capacity on EUTELSAT 172B, in particular on the very powerful beam covering North East Asia and all related high-traffic maritime routes. We continue to see interest from different customers across the region and look forward to announcing new partnerships in due time. Why is satellite so important in Asia? Asia differs from other continents in its extension and population density, but also in its complex geography which includes vast mountainous and insular territories. This creates great obstacles when trying to deploy broadcast and telecommunications networks across a territory. By implementing satellite solutions, service providers can avoid investing in costly nationwide terrestrial infrastructure to extend their networks to smaller population bases, and complement their existing offer via satellite. 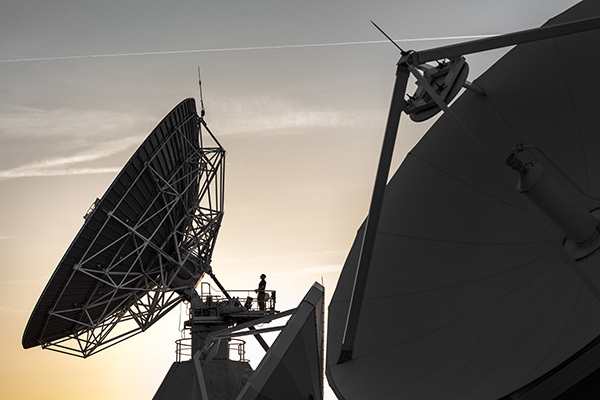 Eutelsat can provide a cost-effective and quickly deployed solution to achieve connectivity objectives across the region. High Throughput continues to be one of the key topics under discussion in the industry, particularly for broadband and mobility. What are your views on this trend and how do you see its impact in the Asian market? 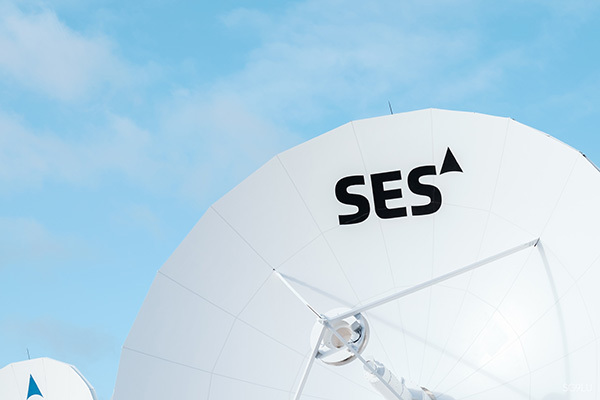 Eutelsat has identified connectivity as an area of strong growth and has been a pioneer in the adoption of HTS worldwide since the launch of the KA-SAT satellite in 2010. We are progressively adding HTS capacity in our core markets to respond to this demand, notably through EUTELSAT 172B in the Asia-Pacific region with a focus on mobility. Internet users will require increasing volume and speed as the demand for video and other bandwidth hungry applications content continues to grow and HTS today and VHTS going forward will be at the front and center of our strategy for continued growth. We believe the most significant growth will come from the broadband and mobility sectors and are starting to design satellites that address both of these markets. These satellites are quite large and thus benefit from better economies of scale than traditional satellites, allowing our solutions to be the most competitive in terms of bandwidth cost. This configuration applies to our recently announced KONNECT VHTS satellite, which will enter into service by 2021. This satellite will provide a Ka-band capacity of 500 Gbps, allowing passengers flying over Europe to enjoy high-speed Internet services, with the same level of quality as European households located beyond terrestrial networks. Asia’s rapidly growing demand for bandwidth and geographic characteristics will make it a key market for the growth of satellite connectivity in the upcoming years. The recent initiative of the Indonesian government to deploy a High-Throughput satellite to bring internet access to unreached parts of the island nation illustrates this trend. The traditional linear TV via satellite market has been a mainstay of satellite operator revenues, with long term contracts providing certainty, and the high bandwidth nature of video boosting fill rates for many FSS satellite operators. However, there are significant challenges on the horizon, with an ever-increasing number of alternative entertainment options, the rise of Over-the-top (OTT) video, and high-speed internet connectivity all creating restraints for satellite broadcasters. While the point to multipoint benefits of satellite video broadcast will forever remain, pay TV operators and satellite operators will need to become strategic moving forward in order to maintain or grow video revenues. In many developing regions in particular, there remains huge potential to increase subscriber numbers and ARPU. Technologies already exist for satellite operators and pay TV platforms to become increasingly relevant in a changing media landscape. This includes technologies such as OTT, VoD pre-caching and IP multicast technologies, which can enable more interactive experiences everywhere, no matter if subscribers are living in a region with high speed fibre or in low or no bandwidth environments. 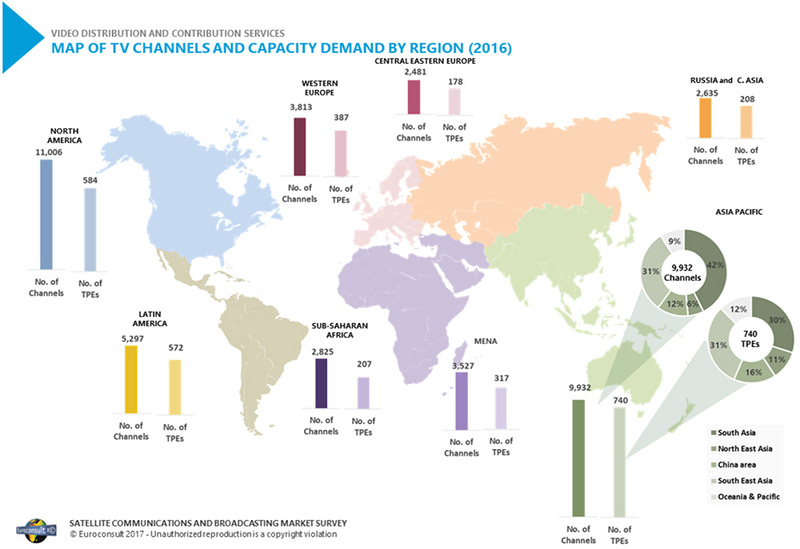 NSR’s Global Satellite Capacity Supply and Demand, 14th Edition report finds that DTH in the Asia Pacific accounts for ~$720 million in annual revenues in 2016, increasing to ~$850 million in 2026. While growth continues to occur in Asia, in particular southeast Asia, the more developed markets in Europe and elsewhere tell a different story. Satellite capacity revenue declines will accelerate, due to a combination of three main factors. While the amount of HD content is inching ever higher globally, SD channels in particular will see marked declines in Europe and East Asia, as HD has already become the norm. In southeast Asia meanwhile, the greater value generated by a higher number of channels that can be offered on SD for a given satellite capacity, continues to drive SD growth. The number of channels per transponder continues to increase over time. In the past 2 years, the number of HEVC (High Efficiency Video Coding) channels broadcast globally has gone from a negligible number, to ~580 channels at the end of the first quarter of 2018. This includes HEVC channels on platforms such as Kazakhstan’s Alma TV, Taiwan’s Dish HD, and Thailand’s GoodTV, all of which are offering HEVC exclusive channel offerings, and are able to achieve up to 60 channels on one satellite transponder. Because set-top-boxes need to be upgraded to handle HEVC/H.265 decoding, generally new platforms in more developing regions are expected to use the format in the short term. Much longer term, HEVC is expected to be more widely used as pay TV platforms in more developed regions struggle with decreasing subscriber counts, and hence declining revenues in some instances, which is putting pressure on all cost centres, most notably capacity leasing requirements. The price of leased satellite capacity is declining across the board, and video is no exception. Traditionally long capacity leasing deals (in excess of 10 years) had protected satellite operators from declining pricing while also providing for stability with key anchor clients. However, with this changing, as well as data migrating to HTS satellites, there is further downward pressure on pricing. This is in addition to satellite operators reducing pricing to struggling DTH platforms and assisting keeping them afloat (and hence helping them continue to lease satellite capacity in the longer term). Pricing will be in the main pain point for satellite operators into the future, even as channel growth is expected at a global level for some time, as this growth is compensated for by increasing compression and decreasing pricing. This is leading to limited revenue growth in Asia. 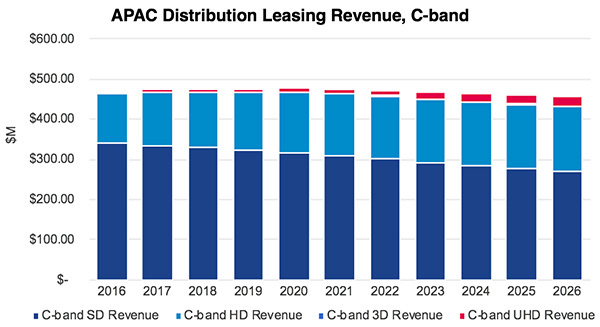 NSR notes that price for both C and Ku-band Video Distribution has declined approximately 35% globally and in South and Southeast Asia, and 31% in East Asia. This decline is expected to continue on account of declining subscribers and head-end consolidation in developed regions and extreme competitive pressure in developing regions. In addition, bargaining power in general remains concentrated with broadcasters. Exceptions to the rule are operators owning hotspots in the North American and Western European markets to an extent where bargaining power shifts to customers in absence of premium video content rights. The effect on the C-band is expected to be more severe in the longer term. The overall demand has been stagnant due to increasing compression ratios. Even Hotspot (which exists in Europe) pricing suffered a ~5% decline with SES and Eutelsat posting decline in video revenues. Across Tier A, B and C customers, there has been pricing pressure, with Tier A offered low pricing due to higher value of content/platform and with Tier C pricing eroding because of competitive offers by other operators. Operators such as SES and RSCC have turned to video services creating alternative revenue streams, but also importantly back-end media or distribution platforms, which will eventually be seen in Asia. This strategy hedges against both falling revenues and falling bandwidth customers with cross-fertilization of opportunities. More operators are expected to turn to a back-end integrated type of strategy in the future. DTH remains a sticky market due to key orbital positions in hotspots or due to difficult terrain reach. In both cases, the cost of repointing antennas can be prohibitively high (~$100 per dish) and thus continue to attract premium prices over video. This segment also registers a fall over the past 2 years at around ~20%. Though in less developed parts of the world, the cost for repointing can be as low as $2, where DTH can only survive and grow through compulsory regulations and not just as a substitute to cable. While pricing is a key issue for satellite operators moving forward, pay TV platforms, in partnership with operators, will need to provide new services to remain relevant long term in a changing media environment. This is especially the case due to the impact of the plethora of flexible broadband television options, including both paid for OTT services and free platforms such as YouTube. New services can include offering OTT, UltraHD, multicasting services and Video on Demand (VoD) pre-caching. 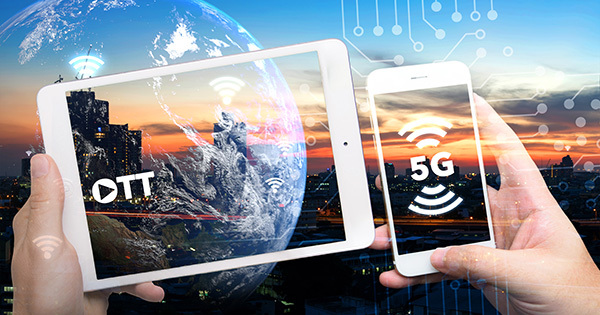 OTT options have expanded significantly in the last few years around the world, driven by increasing high speed broadband infrastructure rollouts, and increases in 4G LTE wireless footprints, which are soon to be 5G wireless footprints. Offering OTT services alongside linear TV services is becoming an important differentiator, and one that NSR has noted previously on a number of occasions. These services typically utilise existing broadband networks, either terrestrial or satellite, and can be bundled with Netflix and Amazon streaming services, or other proprietary OTT services. Having exclusive, large libraries of content will remain key differentiators, most notably with sports content, which remains to this day on the key drivers for new pay TV subscriber signups. UltraHD channels, can also help retain subscribers, especially given the significant decline in the cost of UltraHD TVs, and many new TVs in Asia in particular already UltraHD compliant. While NSR expects the number of UltraHD channels to remain small by comparison (~1.7% of global channel numbers forecast in 2026), NSR expects many platforms to have a few channels to showcase their most premium content – sports in particular, but also movies and a select range of TV series. The cost-to-benefit ratio of having a significant line-up of UltraHD channels, in comparison to a few channels, especially for smaller platforms, is unlikely to drive a significant number of new subscribers, even if enough UltraHD content is available for pay TV platforms to purchase. IP multicast via satellite services can also assist existing platforms work better with IP enabled devices such as smartphones and computers. With this technology, the point to multipoint benefits of satellite can realised, with set top boxes able to convert such multicast streams to unicast streams. This thus offers live content, most notably sports, to IP devices without many of the downsides of traditional OTT video services, which often struggle to provide content under heavy demand loads, such as the FIFA World Cup. This also helps to serve the changing habits of pay TV subscribers, where the number of hours of TV channels viewed are trending downwards, and time spent on other devices moving in the opposite direction. This can also be utilised in commercial environments, such as bars, coffee shops, medical centres and more, and thus providing additional value to customers of said premises. VoD pre-caching can also be used, with set top boxes downloading large video content libraries to set top boxes in off-peak hours overnight, and subscribers able to view the offline content stored on the set top box at a later time. This will require consent with content rights holders considering the large amount of copyright protected material stored in consumers’ homes. Content providers will need to be more flexible with content licensing to support growth of these alternative media via satellite markets. In addition, content copyright holders will also need to work to get major content (for example, from Hollywood studios) to customers globally sooner than has traditionally been the case. With end users in Asia often left waiting for many months after a US release to consume new TV series and movies, and thus promoting pirated content over legal paid subscription offerings. While France has regulations which mandate minimum exclusive theatrical screening windows (currently set to four months), in Asia this is dictated by studios and distributors. Updating these exclusive theatrical screening windows with shorter time frames will assist pay TV platforms with more desirable content. The video markets are undergoing tremendous changes, and in the future NSR expects a steady increase in the distribution of multicast IP video via satellite. While the point to multipoint benefits of satellite will always remain, most crucially for live events, a changing media environment, in Asia in particular, will result in significant changes of the strategy of pay TV platforms. HEVC compression and lower pricing will assist pay TV platforms moving forward, especially in Southeast Asia, however for satellite operators the high growth rates over the last decade are over. While there is a combination of decreasing channel counts, increasing compression and decreasing pricing resulting in revenue declines in developed regions, and flat revenues in Asia. Developing regions continue to see an expanding selection of channels and platforms available. With the level of competition as it is amongst pay TV platforms and new OTT services, remaining relevant to changing consumer needs by providing reliable, mobile and multiscreen services remain critical to achieving differentiated service offerings to entice new customers and keep existing ones. Alan Crisp joined NSR in 2014, following a Hong Kong based engineering role at Aurecon. Crisp is the co-author of NSR’s annual M2M and IoT via Satellite report and also Linear TV and other video broadcasting reports. As a member of NSR’s Fixed Satellite Services (FSS) group, Crisp’s areas comprise of M2M and IoT communications – including both the satellite and ter- restrial M2M landscape. Previous consulting experience includes forecast analysis and risk management of natural disasters in Manila, where he made recommendations to policymakers about backup and emergency telecommunication links for use in city and nationwide emergencies. What Does the 5G and OTT Era Mean for Satellite? From broadband to broadcast, the satellite industry is continuing through a period of unparalleled change. 5G is promising to revolutionize our lives as we enter the next era of communications and the rise of Over-The-Top (OTT) video services is transforming how viewers consume content, knocking down the walls of home cinemas and taking programs outside of them, anywhere, anytime and on any device. While these trends bring challenges for satellite operators, they also bring opportunities with satellite perfectly positioned to be a key enabler for the new developments. When it comes to 5G, satellite has an important role to play in the mix of technologies that will be required to realize the technology’s full potential. Bringing with it a promise to radically transform our personal and work lives, or homes and even whole cities through new applications in health, transport, entertainment, Machine-to-Machine (M2M) and security, 5G will require a huge shift towards a landscape dominated by wireless connectivity. Major architectural changes are also necessary and these are already beginning, with virtualization playing a key role. By leveraging Network Functions Virtualization (NFV) and Software Defined Networking (SDN), both at the core and edge of the network, increased computing power, scalability and reduced operation costs can be achieved, empowering creative business models that enable differentiation. As service providers will need to offer seamless terrestrial and satellite connectivity, a suite of orchestrators will be needed to dynamically steer traffic to the best transport options available, according to bandwidth, latency, network conditions and other application-specific requirements. Starting with the network core and then expanding to the edge, full integration within the virtualized architecture will also apply to satellites. A Management and Orchestration (MANO) framework will manage this NFV infrastructure, allowing for easy integration of multiple applications. Local call switching possibilities could be extended by a virtual Evolved Packet Core (vEPC) application, while reduced latency and improved Quality of Service (QoS) could be achieved through different applications, such as caching and multicast, hosted on a Mobile (or Multi-Access) Edge Computing (MEC) platform. In delivering 5G, QoS and Operational Expense (OpEx) will remain key – but new opportunities will also emerge. In urban and rural areas, satellite services will be well placed to enable seamless connectivity for emergency services, broadcast or multicast and network offload schemes, aero and maritime mobility, connected cars and mobile backhaul. Newer Low Earth Orbit (LEO) and Medium Earth Orbit (MEO) constellations will build on this, further expanding the reach of satellite communications. Companies looking to get involved at an early stage can already take part in 5G trials. Newtec, for example, along with the European Space Agency (ESA) and a number of industrial companies, has signed a joint statement to demonstrate the functionality, performance and benefits of satellite when integrated and interoperating within the 5G environment. The first phase will leverage existing space and ground segment assets and further developments will be trailed after 2019. Newtec is also a key player in the Satis5 initiative. This provides a testbed showcasing major technology progress and demonstrating the benefits of satellite technology for the main 5G use cases. Live, over the air GEO and MEO satellite connectivity is included, as well as laboratory emulations and simulations, and a federation of terrestrial locations is used. The activity drives the full integration of satellite in 5G through open and standard solutions, facilitated primarily through 3GPP (the 3rd Generation Partnership Project) standardization. For all these initiatives, a virtualized, multiservice platform which enables the high performance and high efficiency vital for 5G will be needed. Evolving at an even more rapid pace is the broadcast industry, with OTT broadcasting already finding its way on to screens in homes and businesses. Underlining this progression is a recent Unisphere report which predicts – somewhat surprisingly – that OTT viewership will overtake traditional viewing before 2020 (1). This is no doubt at least partially due to the millions of subscribers who use streaming sites such as Netflix, Hulu and Amazon Prime Video – and this market is only expected to grow. More and more media companies are beginning to respond to this trend and move their broadcasts to the world of instant consumption. This brings key benefits such as new subscribers or customers, enhancing a company’s competitive profile and increasing profitability. For satellite operators, the emerging OTT trend has led many to question the long-term sustainability of the traditional linear TV business that has been their bread and butter over the past decades. But, the key to successful content distribution is transmission and at the heart of these transmissions is satellite. While satellite hasn’t traditionally been thought of as being compatible with OTT services, the technology still has an extremely important role to play, with broadcasters finding more and more that they need to be on-site wherever and whenever breaking news happens to deliver quality broadcasts over multiple platforms. To meet the demand of viewers, this means sharing real-time events with the best image quality, low delay and buffering to a global audience over the Internet, no matter where the event is taking place. The good news is that solutions to this challenge have already arrived. To give an example, the Newtec Dialog multiservice platform incorporates our unique, award-winning, dynamic Mx-DMA® (2) bandwidth allocation technology, providing an IP solution that enables on-demand bandwidth and reliable connectivity for seamless live streaming and general broadband applications. This gives broadcasters the flexibility to run additional communications and applications on top of live streaming such as live social media posting. Newtec Dialog’s powerful API (Application Programming Interface) (3) allows deep integration into NMS (Network Management System) (4) known from the cellular bonding industry, underlining compactness and ease of use of the newsgathering kits. The capabilities of the platform have already been experienced by the Punch Powertrain Solar Team as they competed in the Bridgestone World Solar Channel – a 3,000 km. solar car race across the Australian outback – and used the solution to live stream interviews and action video clips. Delivery of premium content to enable multiscreen viewing brings with it an increase in traffic, meaning bandwidth must be used effectively and traffic needs to be minimized. To address Dynamic Adaptive Streaming over HTTP (DASH (5)), which the multiscreen devices require, the unicast content streams can be converted at the hub to multi-cast, enabling efficient transportation, and then converted back to unicast at the remote site. Satellite is ideally positioned for this due to the unique multi-cast potential it brings when broadcasting the content. In addition to enabling live streams, the satellite link also feeds the Content Distribution Network (CDN), pushing popular content in the different required profiles to edge CDN-based on content popularity analysis. The return channel of Newtec Dialog provides the bi-directional IP pipe to make this popularity feedback possible as well as address any DRM concerns when terrestrial networks are not available. 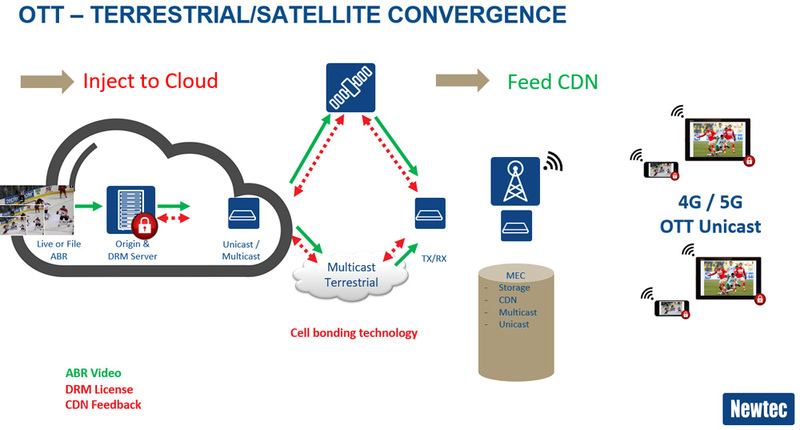 Crucially, through satellite multi-cast distribution, terrestrial backbones can be offloaded to keep up with the demand from the edge which will be especially important in the 5G era. With these leaps forward in innovation, the satellite industry is moving towards an exciting period which will bring numerous opportunities to break down barriers and push the boundaries of the connected world as we know it today. Whether we are talking about 5G or OTT, there is no doubt that the infrastructure in the sky is more relevant to our daily lives than ever. Newtec Mx-DMA is the return technology that incorporates the best features of MF-TDMA and SCPC technologies and at the same time solves the difficult choice to select one or the other. The Mx-DMA return technology on the Newtec Dialog Platform adjusts the frequency plan, the symbol rate, the modulation, coding and power in real-time for every terminal in the satellite network. (3) An API (Application programming interface) is a set of subroutine definitions, protocols and tools for building software. In this specific case, it is a set of clearly defined methods of communication between an overarching management system and the Newtec Dialog platform. (4) A Network Management System (NMS) is a system that constantly monitors a (computer) network for slow or failing components and that notifies the network administrator in case of outages or other trouble. In this particular case, the NMS monitors the bandwidth requirements of each of the remote terminals, compares it with the network availability for each of the terminals and routes different packets via different routes based on a set of parameters such as delay, lowest cost routing etc. 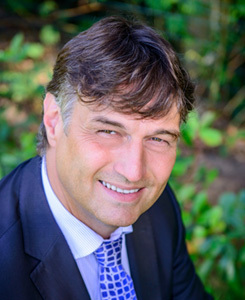 Hans Massart holds an electrical engineering degree and a business administration degree from the University of Leuven. He has more than 15 years’ broadcast experience. Before joining Newtec, he served 14 years in European Sales and Business development positions at Cisco, Scientific-Atlanta and BarcoNet. In 2012, he became Newtec’s Director of Strategic Business Development and then Market Director Broadcast in 2014. Kerstin Roost has 18 years’ experience in IT, media and satellite communications, with expertise in strategic PR & communications, marketing, sales, customer support and engineering. Before joining Newtec’s global marketing and sales team, Kerstin was a software and support engineer for Newtec’s Berlin division and then a marketing manager for the related software and solutions. 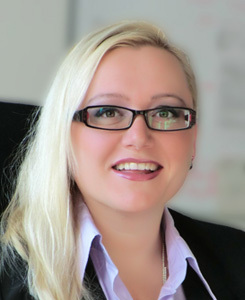 Kerstin holds a Multimedia Engineering degree from University of Technology, Business and Design in Wismar, Germany. Semir Hassanaly is Newtec’s mobile backhaul lead, with expertise in the bridging technology and business, specifically in Mobile and Internet. 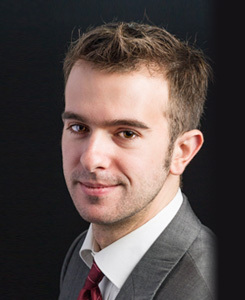 Previously, Semir was vice-president of Marketing & Strategy at Memotec and Product Marketing Director at Comtech. Semir has also launched startups and held several international assignments in product management, solutions architecture and product development. Semir holds an Electronics and Automatics M.S. from the University of Sciences of Montpellier, France, and a Business Administration M.S from the Institut Francais de Gestion, France.